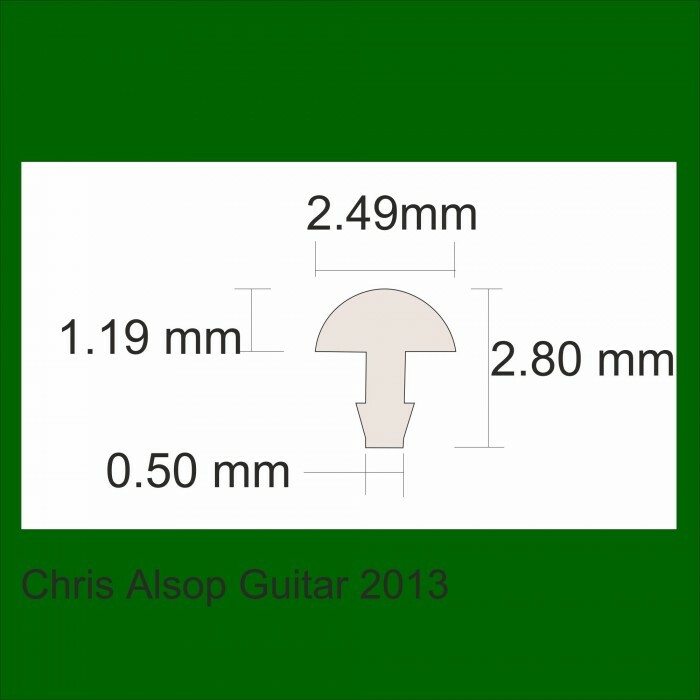 This offer is for 5 pieces of fret wire - each 60mm minimum length. Cross Section as dimensioned on the picture. 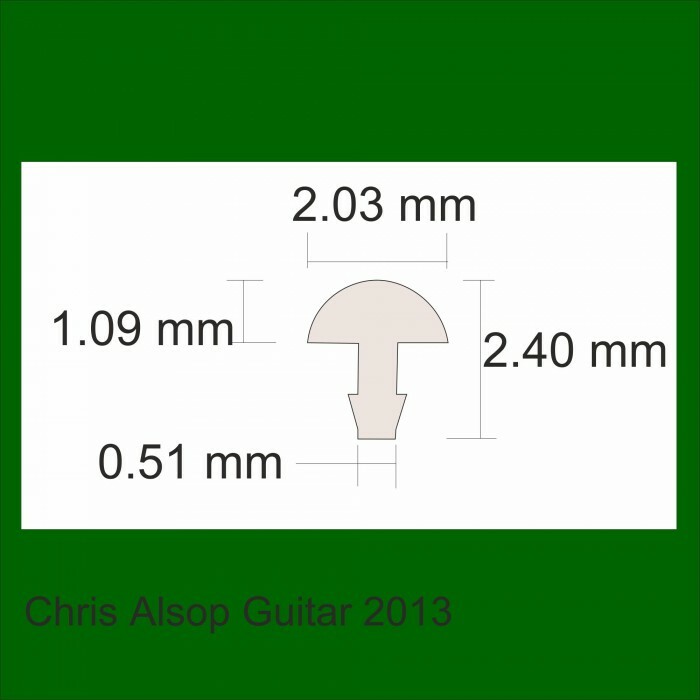 Note that the slot depth required is approx 1.8mm. Most guitarists wear out the first few frets at a faster rate than the others - so it makes sense to only replace these frets. The frets are slightly curved across the length - this helps them fit the fretboard. The medium width fret wire is Jescar Nickel Silver Fret Wire and the wide width is Sintom Nickel Silver Fret Wire. Both are of the highest quality, used on many top makes of guitars. They are excellent to work with in all aspects of the refretting process being hard wearing and polishes to a brilliant finish making playability and the feel of the instrument excellent. Special lengths cut free of charge (eg. 6 lengths of 50mm) to a total of 300mm in length total. A printed guide to refretting included.